Check out my spoiler-free review of Pretty Venom by Ella Fields! This all-new contemporary romance book was unputdownable! 5-star Kindle Crack! 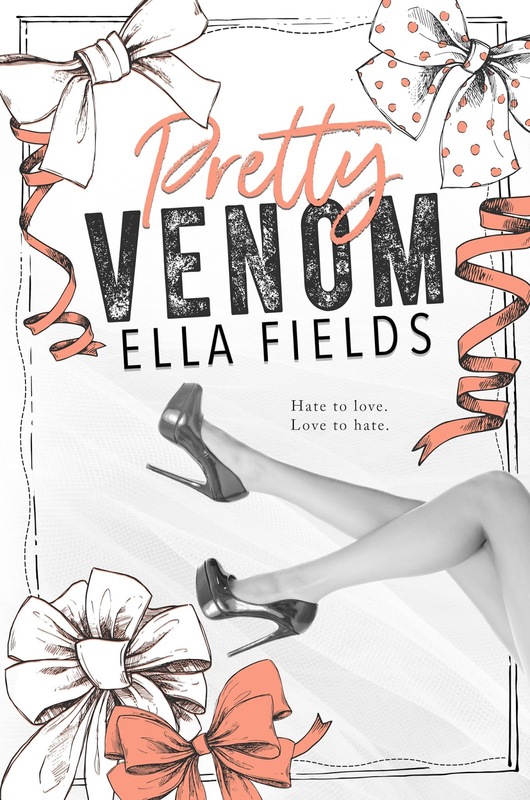 Pretty Venom is the ultimate enemies-to-lovers romance. Watching Renee and Callum's highly dysfunctional relationship unfold was like watching a car accident in slow motion. I couldn’t look away or put this book down. I wanted to drop kick my Kindle a few times out of frustration. I’ll also admit that I wanted to throat punch Callum. I’m still digesting it all. If there was a book award for biggest asshat boyfriend of the year, It’s safe to say it would be Callum. You need to go into this one blind, and be prepared to want to hug or kill the main characters. I think you’ll want to hug me for recommending it. This unconventional, coming of age, dysfunctional romance is utterly addictive. Bravo Ella Fields!! !